I have never met Peter Railton, but I feel I know him. I say this after reading his recent Dewey Lecture. We are virtually the same age, born in the same month, one year apart. We went to high school in New Jersey during the 1960’s and had similarly adverse reactions to the experience. We both rebelled against the status quo in HS. We both had our flag incidents. 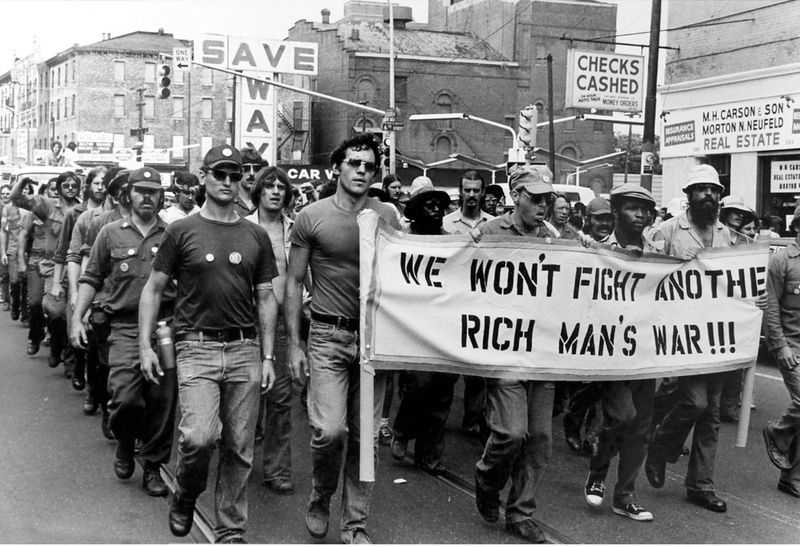 We both supported the Civil Rights movement and fought to end the war in Vietnam. We probably went to many of the same demonstrations. (One example: I was one of the students whom Nixon encountered at the Lincoln Memorial* preceding the demonstration against the 1970 invasion of Cambodia, which Peter mentions. I use his first name here, because that feels right.) I am sure that we engaged in the same sort of conversations about collective action. (Accusation: ‘You are not really a Marxist because you don’t BELIEVE in the revolution.’ Peter will know what I’m talking about.) I saw other young people take all sorts of ethically driven risks, as did Peter. (Another example: a young, untenured history professor who participated in the seizure of the computing center at Stony Brook to protest the Vietnam War, who, when people pleaded with him to leave before the police arrived–because he had a wife and young kids and would likely lose his job–said in response: I need to be here; I need to do this.) In addition, Peter and I probably hung out with some very similar academic types when we were young. He mentions the Stuyvesant and Bronx Science students he met at a program at Columbia; when I attended Stony Brook as an undergrad many of the students had come from Stuyvesant and Bronx Science. ** And although I don’t suffer from the kind of deep depression that Peter describes, I certainly had bouts with it, especially in my younger years. I could go on. But why focus on these similarities? Because I know where Peter is coming from, and because I know this, I am disappointed at the reception of his Dewey Lecture, on the blogs and on social media. Yes, people praised it to the skies, and others were so moved they cried. However, before I read it myself I had the impression that the focus of the lecture was the public acknowledgment and struggle with depression by a member of the profession. This is the emphasis, for example, of the open thread on Daily Nous. *** It seemed that the lecture offered support to those who have lived in fear, terrified that their closeted or ‘damaged’ selves would be exposed, destroying their careers. I thought, Bravo! for Peter, for raising this issue and putting himself out there. The personal is political. In the narrative preceding the depression discussion, which only accounts for three or so pages of the fifteen-page lecture, Peter is actually casting his net wider. It’s worth noting the title of his talk here, which is clearly meant to suggest a broader range of concerns: “Innocent Abroad: Rupture, Liberation, and Solidarity.” Peter is addressing several issues: he wants to emphasize the connections between thinking and doing, the importance of experience or practice, the value of working with others even when it takes time from our own personal projects, and the ways in which privilege, of various kinds, deforms people’s lives. By extracting the depression discussion and focusing on it out of context, we risk missing—or evading—the more general challenges of his address, most notably, how we often let our personal fears, desires, interests, etc., get in the way of doing the right thing, or even trying to do the right thing. If we miss this, we fail to see that doing the right thing, or at least trying to do it, is itself a crucial part of a moral education. I take it that Peter is perfectly well aware of the fact that this last claim will not sit well with people committed to making philosophy ever more specialized and technical, while dismissing alternative approaches as inherently inferior, or at best outdated. For these philosophical technocrats the nature of what they do no more requires them to think about practices than, say, a theoretical mathematician qua mathematician. But Peter is trying to highlight another dimension of the relationship between thought and practice, one that Dewey would find congenial. Peter also revives another Deweyan concern: myopic assumptions about what constitutes being good at philosophy, which can be damaging to philosophy, as well as to the lives of individual philosophers. (Dewey railed against what he called the “epistemology industry” in his day.) We have limited ourselves by overvaluing one set of skills, restricting philosophy to one kind of game, to the point of dismissing those who have other virtues and aptitudes. Contrary to the way in which people in the profession often think about philosophy, Peter argues (1) that thought and practice should not be seen as inhabitants of different realms, and (2) that people in the profession shouldn’t overvalue a certain kind of cleverness—one might say a set of skills involved in particular language games—to the detriment of other aptitudes and skills that philosophers may possess. But his critique of academia and philosophy doesn’t begin and end here. He is going after the big enchilada: privilege. The way some people who have succeeded, or who are on the way up, think about entitlement and privilege poisons our relationships to each other and to our discipline. And while the successful sometimes seem to think that it is politically incorrect to fail to show support for less fortunate colleagues, I am sure that many secretly believe that underemployed philosophers haven’t made it because, well, they don’t have the right kind of smarts. Even if we don’t consciously think this, the system fosters implicit attitudes of this sort. Peter’s talk indeed raised the question of a humane and decent response to the issue of depression in the profession. Our neglect here is only one instance of the many ways we fail to do the right thing in philosophy. And doing the right thing involves more than thinking—or talking—about the right things. There lies the challenge of Peter’s Dewey lecture. *See, “I Am Not a Kook: Richard Nixon’s Bizarre Visit to the Lincoln Memorial,” The Atlantic. I arrived after Nixon had been there for a while. The Atlantic article captures the bizarreness of the event, to a degree. At some point I may write a more detailed account of what I saw; I can say here that it was genuinely scary. Nixon appeared drugged and out of it. His voice would rise and fall in odd ways. He was not well. (In response to a question about Bobby Seale, the Black Panther, he responded in muffled tones, “how would you like to have an ice pick in your stomach?”) And he was the guy with the finger on the nuclear button. ** Stony Brook was being billed as the new Berkeley or the Berkeley of the East by no less than Governor Rockefeller. It was flush with funds—we had heard that C. N. Yang, the noble laureate in physics, was making $100K a year—in the early 1970s, a huge sum at the time. To be clear: everybody has the right to exit from activism, even ones that are merely symbolic or small gestures. The world needs thinkers as much as it needs activists. As Hobbes notes humanity’s actions proceed from opinions, and the activity that shapes the content of these opinions is a philosophical task. Schliesser casts the re-ignited conversation in terms of “professional norms” that weigh in the balance with “personal morality or individual conscience.” In the scary chasm between moral activism and institutional slavery, he locates an exciting opportunity to reconsider the “prudential decisions” that “all of us make” in light of the demands of the “public role(s) of philosophy.” Not, perhaps, what Railton had in mind here, but surely well-intentioned. 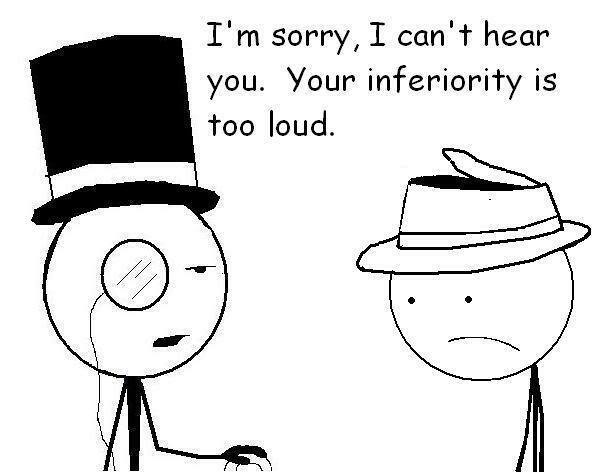 The inferiority cartoon in the post is from here. Prev Philosophical Gourmet Report Advisory Board: If Not Now, When? Your blog post is related to a book I just started reading, “The Utopia of Rules: on Technology, Stupidity, and the Secret Joys of Bureaucracy”, by David Graeber. Graeber talks about how bureaucracy is endemic in most private and public institutions in the US now and how anti-democratic it is, as well as how beneficial to the powerful, moneyed classes and interests.